Silat Decoy arts use the idea of decoy in a number of different ways. In this post I will elaborate a bit on Silat decoy using fighting position, Personal Body Slapping and Upper and Lower Body Arts. In fighting a decoy often refers to the idea of a fake hit or feint. Although a Silat fighter may utilize a feint they will much more often use their body position to try to make the opponent think that they are attacking from a direction or with a body part that is different from the direction or body part that they are actually really using. As a result sometimes strikes are thrown at odd angles or from strange positions compared to most conventional fighting methods. The application is to cause the opponent to not see what you are actually attacking them with until it is to late and ideally they never see or realize what direction or / and what body part / tool they are being attacked with. Only, if they are still awake, after being hit should the opponent know they were hit and as soon as their focus goes to where they were hit then another technique is applied somewhere else equally unexpectedly. In Silat Decoy you will also find the practice of personal body slapping. The slapping in Silat can be used to make the opponent look in the direction of the sound of the slap while a real strike comes from another direction. A personal body slap or stomp is meant to be disorienting or distracting even for an opponent who is moving and fighting more intelligently. Also, in Silat Decoy arts we have the upper and lower body art. The lower body art uses foot, knee and leg methods including leverage including tripping and trapping. The upper body art is everything above the waist. To use decoy with the upper and lower body arts is a fairly simple matter but it must be trained to be performed well. One of my favorite Silat Decoy techniques is as follows: An upper body strike is thrown or defended against while I am stepping on the opponents foot. The opponent sees the upper body strike / defense but does not see the step on the foot. 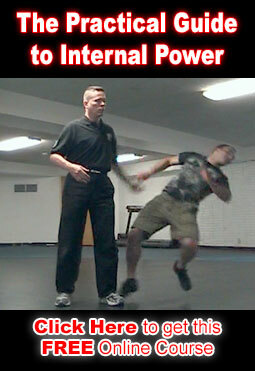 Another Silat Decoy technique is to kick the leg of an approaching attacker and when they are pitched by the contact then I apply the upper body art strike or grab to them. They do not realize the upper body art is happening until it is to late. 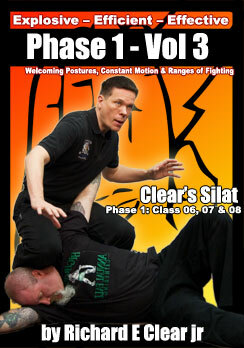 In the next post I will continue to add some info about the Silat Decoy art with a focus on Silat Welcoming Postures.